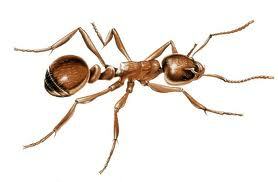 A little domestic problem: little ants called “sweet ants” in our kitchen marching around on the counter. We tried mechanical means (squashing them) but more kept coming, lines and lines of ants. Thinking “better killing through chemistry,” I got out a package of that efficient anti-ant product, Terro, set it on a piece of aluminum foil and then baited the poison with some sugar in front of the plastic death palace. Imagine the scene an hour later when still-healthy ants were bypassing the lovely sugar and clambering up over the bodies of their fallen comrades to get to the poison. And I was thinking, is there a metaphor here? One would think that with our significantly larger brains, homo sapiens would not be bypassing the good stuff to do ourselves harm with the bad.